Joe Milutis is an interdisciplinary artist who works primarily between interdisciplinary areas to create and explore unforeseen conjunctions. 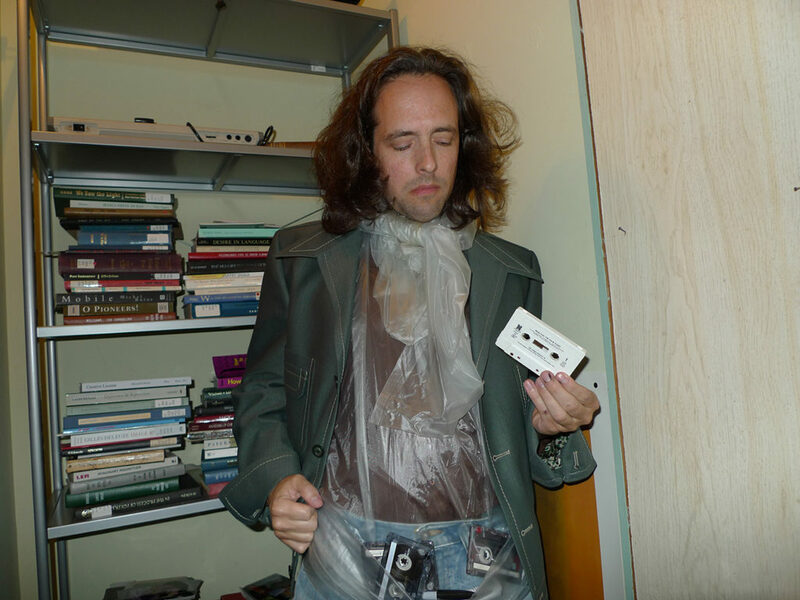 His practice encompasses academic and creative work in a variety of media and distribution modes, including experiments in narrative and poetics; sound and radio; video; new media; performance and various media/literature hybrids. He is Associate Professor of Interdisciplinary Arts and Sciences at the University of Washington-Bothell and the author of Failure, A Writer’s Life (Zer0 Books), Ether: The Nothing That Connects Everything (Minnesota), and most recently Bright Arrogance, a column on experimental translation for Jacket2. For this TMNW, Joe Milutis will be presenting works that are difficult objects— ones not easily disposed to book distribution, gallery presentation, or performance, but that instead either fail to congeal, or congeal in a way that is not congenial to easy access and consumption. Among the works he will be exposing to view are “Kingmonster Hermaphrodite,” a selection of experimental translations from Michael Maier’s alchemical texts; “The Shipwreks of Greenpoint” a mediumistic ethnographic fiction about abandoned bikes; and “The Afternoon of a Faun,” a film treatment/translation of Mallarmé’s gothic eclogue.